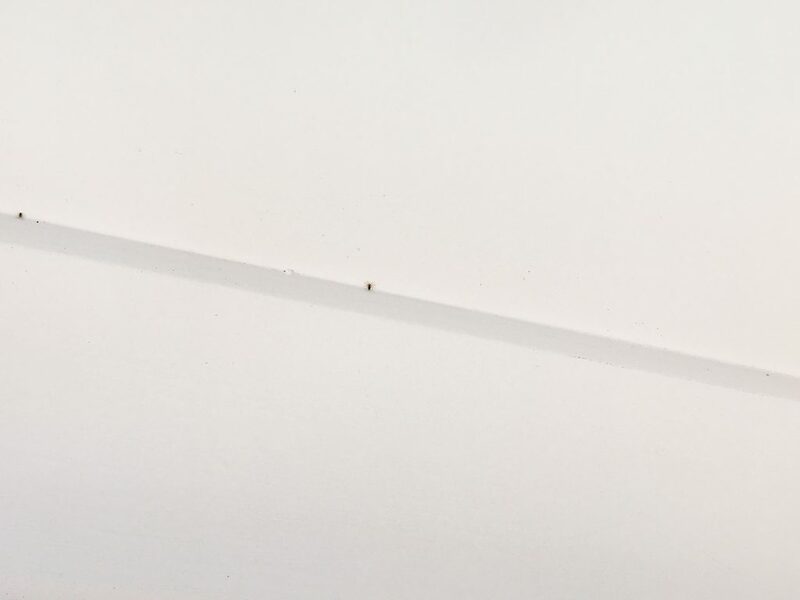 I realised a spider had given birth somewhere in the bedroom when multiple identical dots began appearing around the ceiling cornice and high on the walls. I used a chair to get closer to the dots and saw they were tiny arachnids – all replicas of one another, identical in my eye. The first day I counted and removed 8 before hopping into bed. The next day, I counted 17 more. After that, the number steadied off around 4 per day. One or two remain in the corners. Compost bugs have been flying around our noses and eyes for weeks now. You notice one on Monday, four on Tuesday and so on, until they’re flying around your face, weightless and silent in every room of the house. You can’t see them if you look, but they are ever present. Although the compost bucket is emptied and cleaned, the bugs don’t seem to want to leave. I check the underside of the indoor pot plants – they don’t seem to be nesting or breeding in the saucers of water where sometimes they originate. I’m unsure as to why they’ve appeared now – in this quantity. 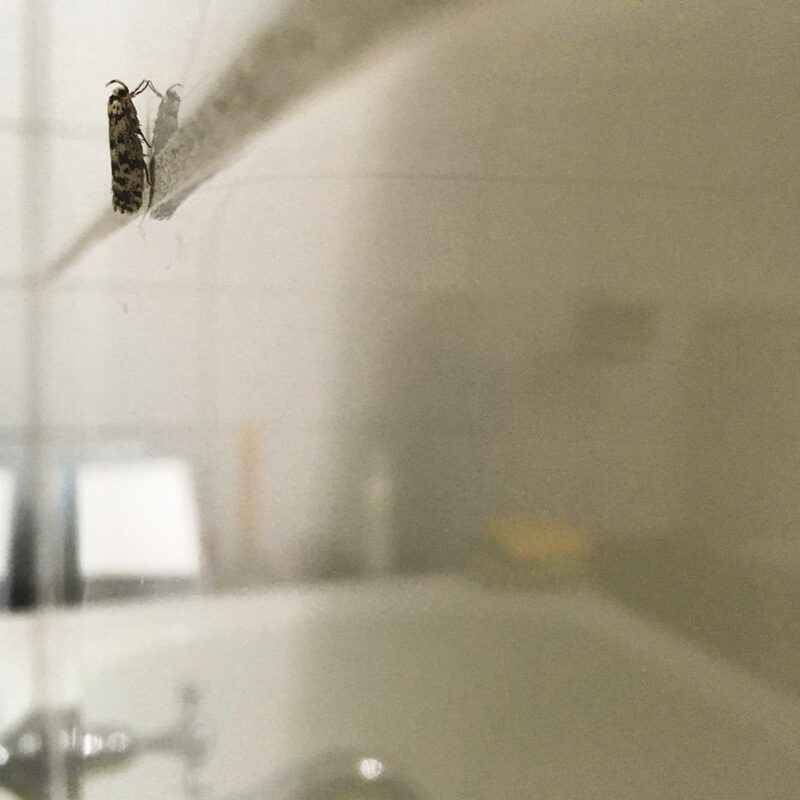 A spotty rather beautiful moth appeared on the edge of the bath. Smaller than your average brown moth this one reminded me of a small piece of chocolate flake which had fallen from the fragile log. It rested on one of the corners, perched on it’s delicate legs, where it looked as though it had stationed itself to guard the nightly bath ritual. 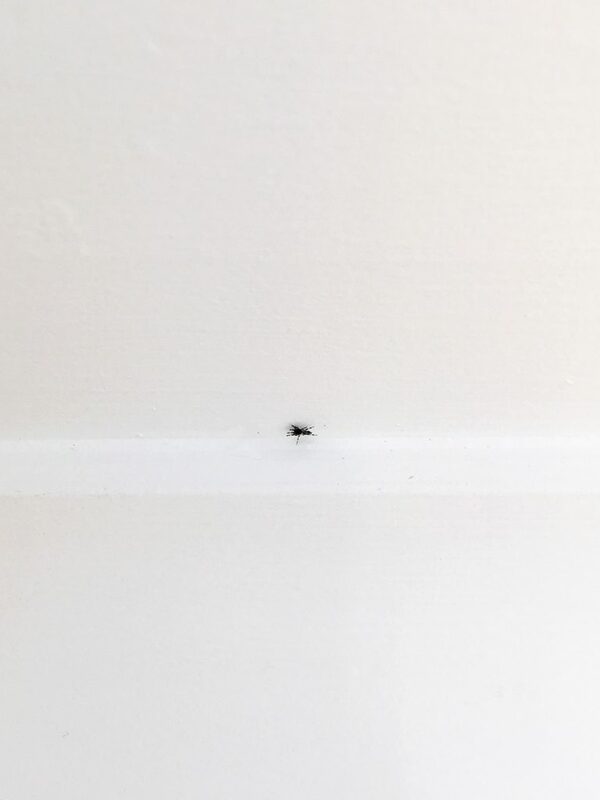 Whenever the temperature reaches around 34 degrees, a colony of ants appear in a single line from the north west window of the house. They march along the windowsill, above the bookshelf, over the buffet and down to the floor, following the parquetry to the crumbs directly underneath June’s high chair. They gather around a chunk of bread, or a grated slither of cheese, and feast on each morsel of food like a piglet suckling her mother – lined around the edge of the food, often drowsy and drunk with the effort of the feed.